In today’s time, doctors, nurses, hospitals and other public health officials are encouraging all patients to track their medical data by the use of modern technology. It is not a surprise that technology is one of the best tools to prevent diseases and other chronic illnesses. Medical professionals are very eager to know if patients can manage their health all by their selves by using all available modern devices and data. In most advanced countries such as in the United States, their government is promoting online health programs which allow Americans to access their own medical records. These programs can be used by citizens to help them manage their health. Physicians and other health professionals can also use the online program to locate and connect with their patients. They can easily interact and give health advices to patients thru live chat and e-mails. Fortunately, there are a lot of mobile applications related to health. These applications have the ability to help physicians closely monitor the health progress of their patients since there are portions in the application wherein patients can encode their daily meal intake and exercise being done. Modern technology can also lessen healthcare costs. Recent studies show that patients who are using technology related to health have lessen their healthcare costs and have shown better and improved health. Most facts, blog articles and other data from online health programs and applications are well-researched and true. It can help patients with everything such as identifying correct drugs for certain minor diseases. However, there can be instances wherein some mobile applications are not authentic. That is why health organizations around the world have warned patients to be extra careful in using applications and data since some of them don’t provide appropriate health facts and data. Before using all modern devices and gadgets, it is better to visit and consult a healthcare provider personally. By doing it, physicians have the chance to assess patients internally and physically. Searching the internet about respiratory therapist is not that simple. You just get the same details over and over again. Individuals do not seem to know that a respiratory therapist is a vital job, especially when it comes to pulmonary conditions. 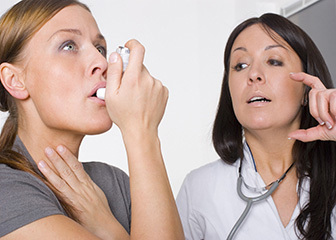 When you take up respiratory treatment, it is considered a specialty about the respiratory system. 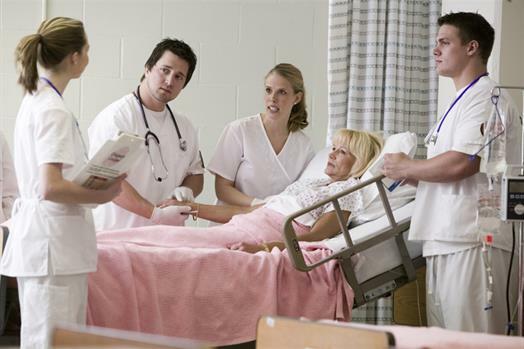 It has some resemblances to nursing, because it is a degree and you will need a national evaluation to be able to fully practice the career. In other words, a respiratory therapist is also a health care professional. However, very few details are known about this career. If you look up in the Wikipedia and wellness care websites, you only get a few articles about them. From what I understand, a respiratory therapist is the one who manage the airway of sick sufferers. Respiratory therapist is part of the team that is called on for critical projects like intubating a sick individual or starting mechanical air flow for trauma patients. When you come to think about it, respiratory treatment is as useful as the nursing career. The job of a respiratory therapist has experienced its highs and lows as well. Many will think of them as part of the bottom rung of the ladder. They are not handled as professionals, yet their degree says otherwise. Some respiratory practitioners find this kind of treatment unjust, because they save the lives of sufferers too. It is not simple to make the sufferers breathe normally in forced situations, yet the respiratory practitioners discover a way to make sure that their respiratory system would be performing well. Hopefully, as more details are known about respiratory treatment, most people would realize the value they have to the health care industry. They are also like nursing staff that are willing to help and care for the sufferers.